Chinese leaders are resolved that the best way forward for the country is "innovation" -- modernizing industries and creating technological marvels that China can call its own. With this belief, China has achieved momentous progress in science and technology in recent years. Thanks to high-speed rail, long distances can not keep friends, family or business partners apart, as 1,000 miles can be covered in a day. The sky is no longer the limit, as China has sent manned flights into space. The following are the most revolutionary hi-tech achievements that Chinese has made lately. No sector better symbolizes China's shift from a nation of labor-intensive manufacturing to one that excels in sophisticated technology than high-speed rail. Just a few years ago, high-speed rail was a new concept to the Chinese. Now, China boasts the world's biggest high-speed railway network. By the end of 2015, its total operating length had reached 19,000 km, accounting for more than half of that across the world. 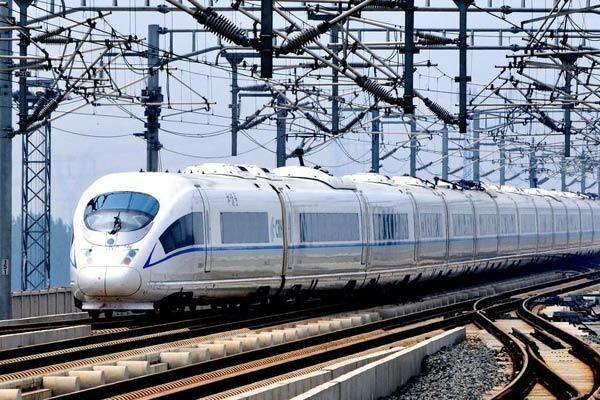 After years of technological upgrades and innovation, China has lifted its high-speed railway technology to the most advanced level, which has the advantages of low cost, quick delivery and acknowledged reliability. A lot of Chinese high-speed rail expertise and equipment has also been exported, generating huge economic efficiency in many parts of the world. For example, in Africa, China-built train lines are increasingly becoming the backbone of the local public transport system and a key component of growth in a number of countries, including Nigeria and Ethiopia. 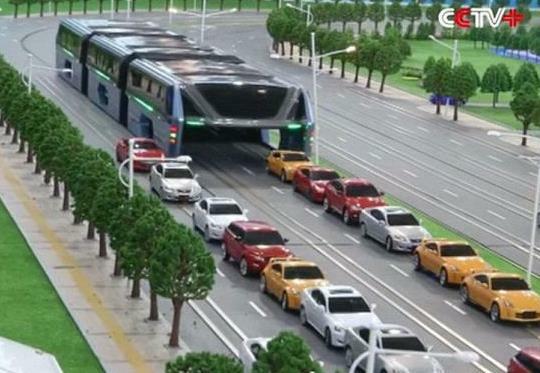 Straddling bus: The future of transport? Tired of traffic jams and exhaust fumes? A newly-unveiled design for a "straddling bus," which lets cars drive underneath, can not only save road space but also help reduce air pollution. The concept is the brainchild of Beijing-based Transit Explore Bus, which took its design to a high-tech expo that just concluded in the city. The vehicle's passenger compartment spans two traffic lanes and sits high above the road surface on a pair of stilts, leaving the road clear for ordinary cars to pass underneath. Running along special tracks, the bus can carry up to 1,400 passengers and travel at up to 60 km per hour. "The biggest advantage is that the bus will save lots of road space," said Song Youzhou, its chief engineer. Furthermore, the design is environmentally friendly. Powered by electricity, the straddling vehicle could replace about 40 conventional buses. A test version is set for a trial run in north China's Qinhuangdao City in July or August. Full operation may start in 2017 or 2018. 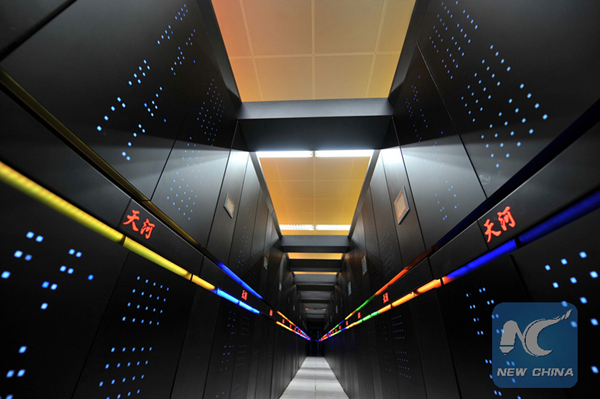 The Tianhe-2 supercomputer, developed by China's National University of Defense Technology, has held the title of "world's most powerful computer" since 2013. Tianhe-2, which means "Milky Way-2" in Chinese, can operate at 33.86 petaflops per second, the equivalent of 33,860 trillion calculations per second. "It is driving multiple industries and sci-tech projects. It can handle high levels of analyzing, computing and processing," said Yuan Xuefeng, director with the National Supercomputer Center in Guangzhou, Guangdong Province. Tianhe-2 completed high-precision calculations of the external flow field around the C919, China's first domestically-made large passenger jet, in only six days. The task would have taken about two years without the supercomputer. In the medical field, Tianhe-2 can create three-dimensional reconstructions of aortic aneurysms. "That means doctors can gain a comprehensive understanding of aneurysms before operating. It can help evaluate and reduce medical risks," said Yuan. The supercomputer has been used in national priority projects covering energy, bioscience, pollution control and high-speed rail design. Named after the Chinese term for the Big Dipper constellation, the Beidou project was launched in 1994, some 20 years after the inception of GPS. The first Beidou satellite was launched in 2000. The construction of the Beidou satellite navigation system has followed a "three-step strategy": first, the building of an experimental navigation satellite system by 2000; second, the building of a regional navigation system by 2012; and third, enabling the system to cover every corner of the globe by 2020. 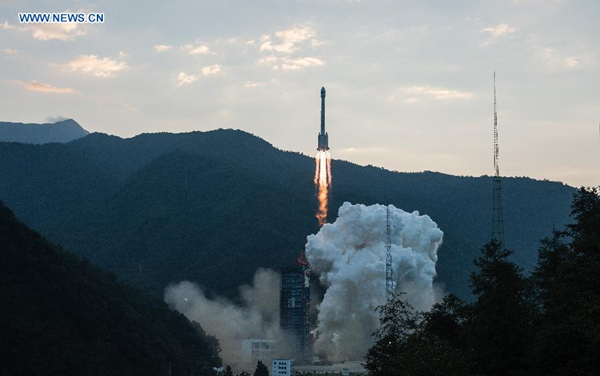 China has achieved the first two steps, becoming the third country to have an independent satellite navigation and positioning system after the United States and Russia. Beidou is one of four satellite navigation systems in the world. The other three are America's GPS, Russia's GLONASS and Europe's Galileo. Beidou has played an important role on many occasions. After the 2008 Sichuan earthquake, it was used to transmit information to the emergency command when other telecommunications failed. Its use now extends to industries including transport, marine fisheries, weather forecasting, hydrological monitoring, surveying and mapping, as well as to smartphones and car navigation. 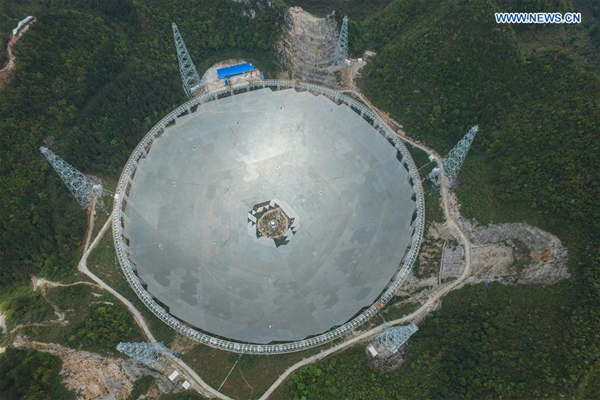 A hollow that formed 45 million years ago with the collapse of a karst cave in southwest China's Guizhou Province is now home to the world's largest radio telescope. Scientists say it will become a big sensitive "ear," listening to subtle sounds from distant universes and decoding cosmic messages. With an investment of 1.2 billion yuan ($182 million), China's largest ever astronautics project began in March 2011 and will be completed in September this year. Once complete, the Five-hundred-meter Aperture Spherical radio Telescope, or "FAST," will surpass Puerto Rico's Arecibo Observatory, which is 305 meters in diameter.